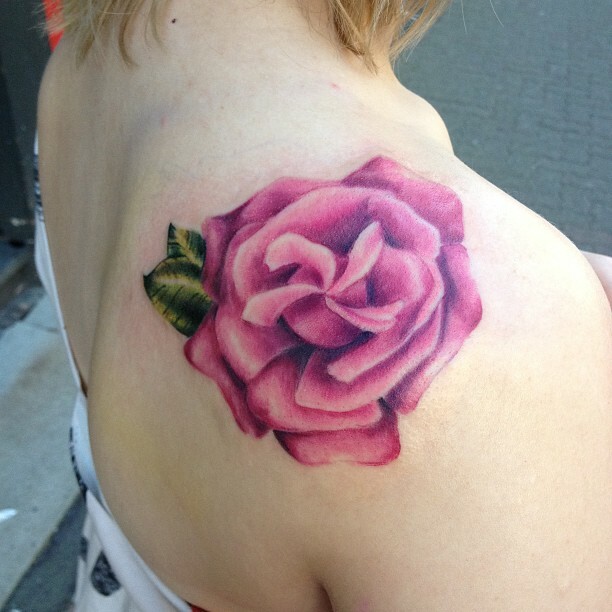 Shoulder rose tattoo have become the center piece of many masterpieces. 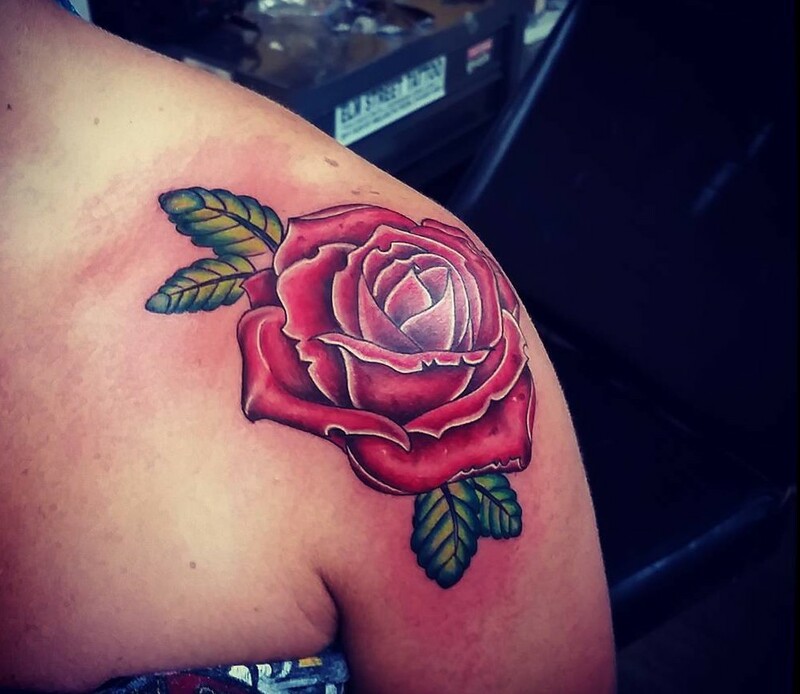 Placing a beautiful rose flower on your shoulder allows the tattooed to debut the artwork without being placed in the awkward position of stripping in random places to show the rest of the work. Viewers can see the main piece just by lifting up your sleeve or wearing a tank top/muscle shirt. A t-shirt resting against fresh ink feels a hundred times better than a pair of jeans any day. 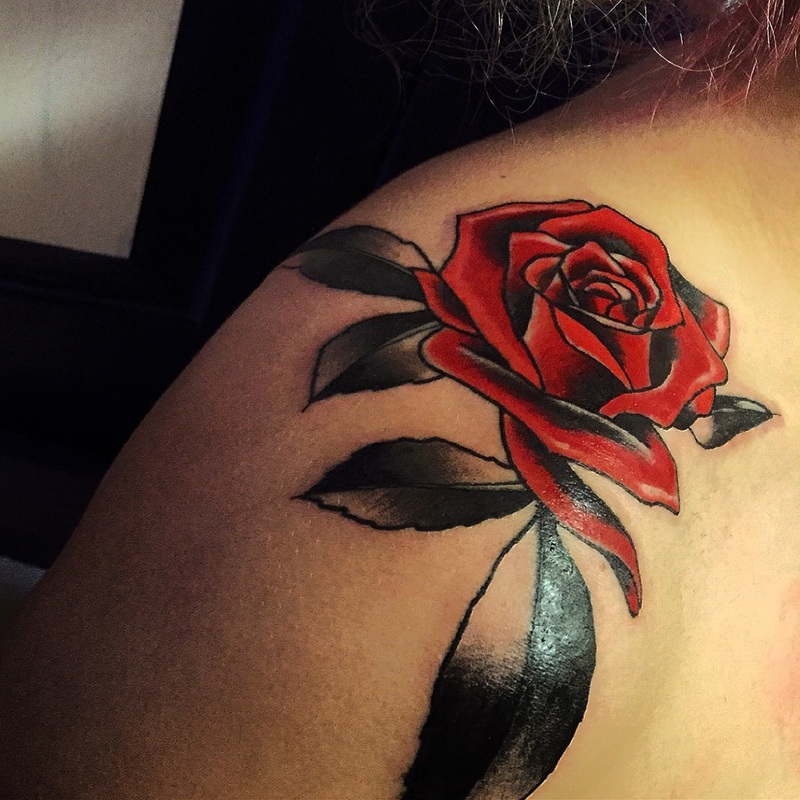 Placing the rose tattoo on your shoulder will get a lot more exposure and hurts a lot less than many other places on your body. 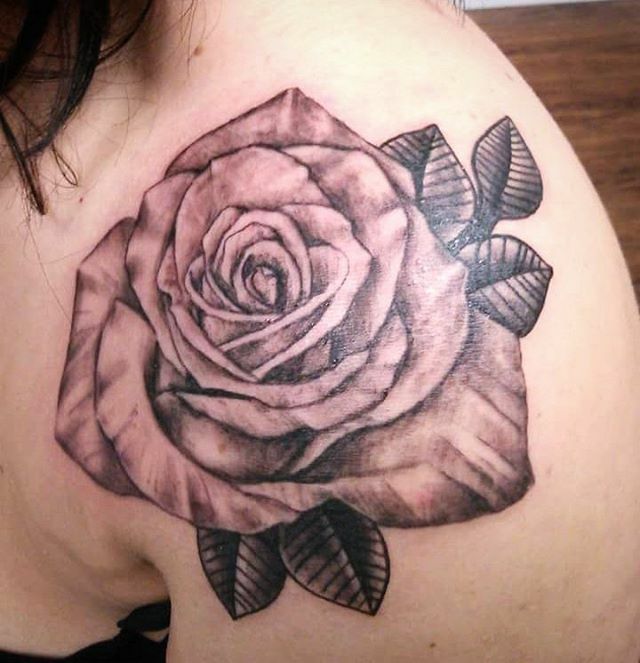 I know most with tattoos are not worrying about the pain but some are. For those that are looking at your first tattoo or maybe even your only tattoo (good luck with just one) you are thinking about pain. The shoulder is a good spot. 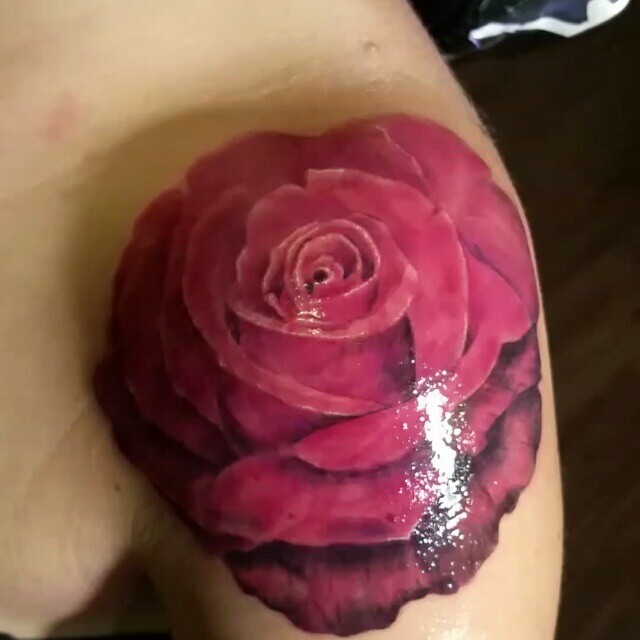 Shoulder rose tattoo, specifically is a hard piece of art to buy. Hard to decide the centerpiece for your masterpiece or a piece that can say it all on its own. 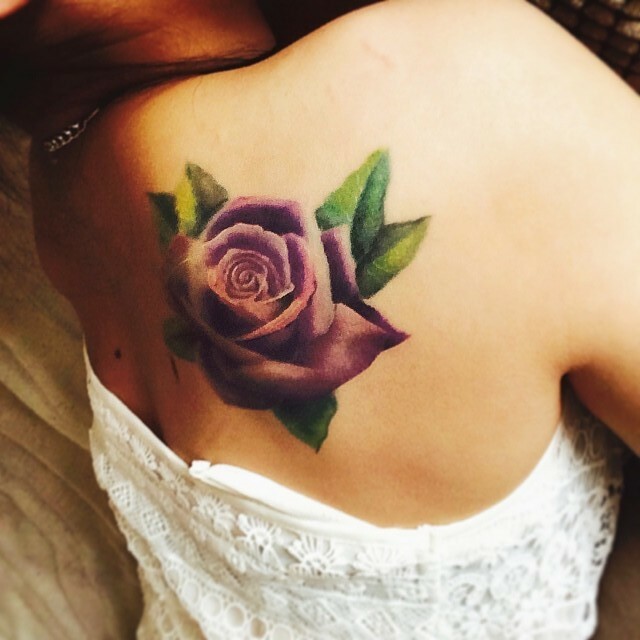 Flower tattoos are being more openly expressed, therefore placement can be anywhere! 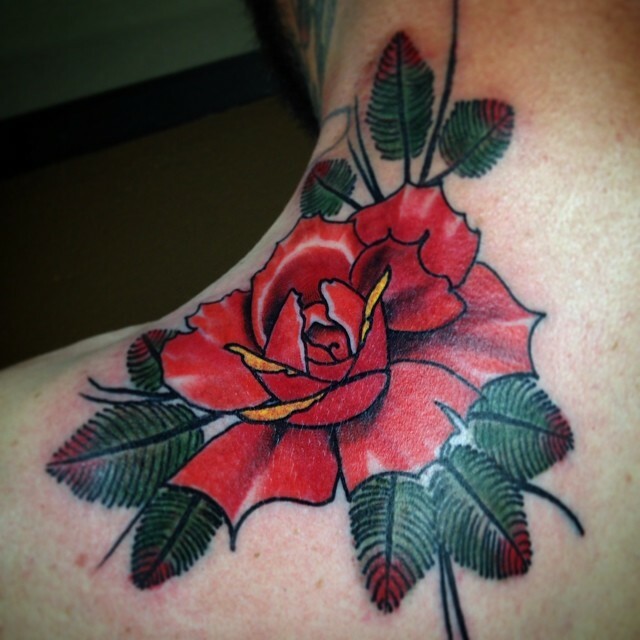 Tattoos in general have expanded in size and detail, so why is the shoulder any different? Well, your forearm can only work for some many ideas. Your legs are a bit more painful and the chaffing as the tattoo heals and the hair starts to grow back is enough to drive any guy crazy. 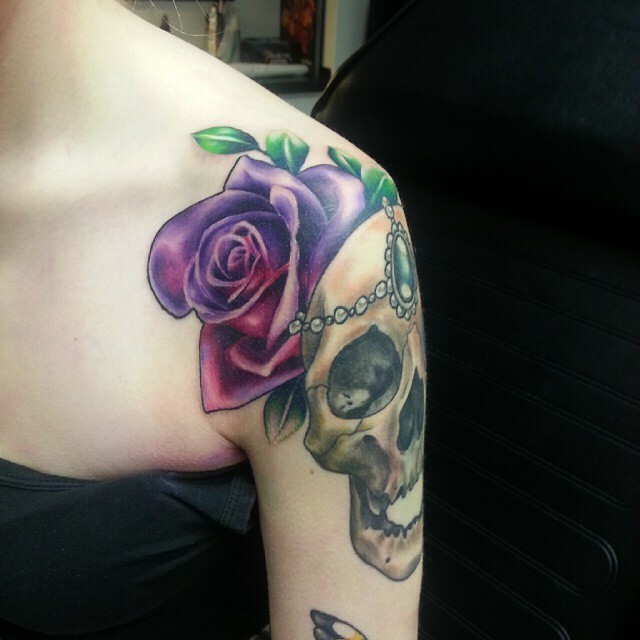 The shoulder can be the start of an amazing art piece that extends over your shoulder blade to cover your entire back. Or move the other way up your neck and across your chest. Whatever way you choose there is space! The canvas can be extended in any direction. 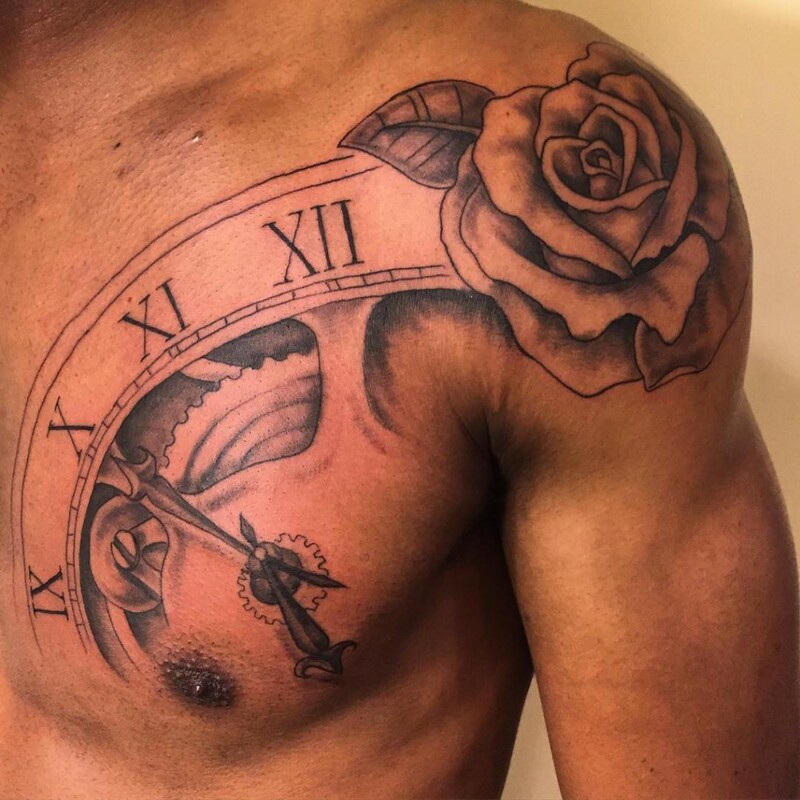 Which means a tattoo you choose now can be added to and turned into a whole story later in life, maybe when you are ready for the whole story to be told. Just because they are becoming popular does not mean they aren’t unique. 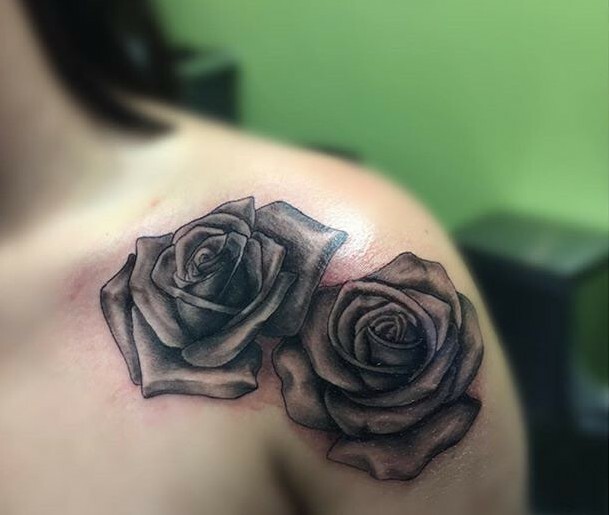 The chances of two people having the same tattoo are extremely rare, as they are all unique and beautiful in their own ways. For instance, on one person it can represent a significant change in their life, and moving on; yet for another it can represent how fragile life can be, brought on by a significant loss. 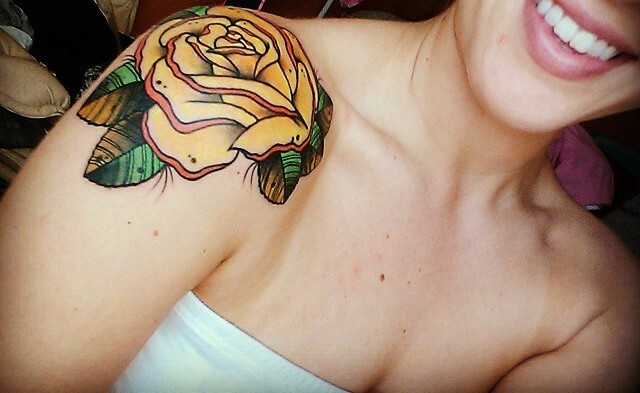 So you shouldn’t be afraid that your shoulder rose tattoo won’t be all yours. 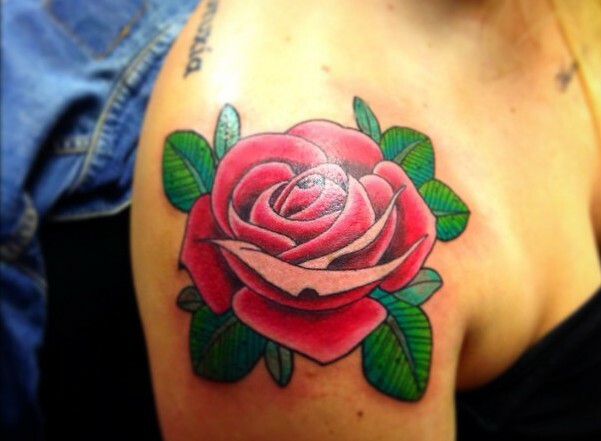 Whatever reason you choose to get a shoulder rose tattoo, make it worth it. Tattoos make statements and represent who you are. 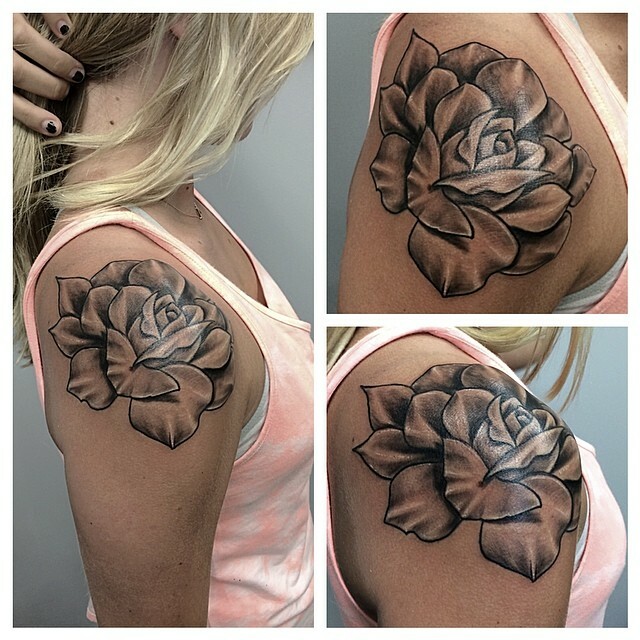 Before you decide what you are going to put on your body, specifically on your body that is seen frequently such as your shoulder, choose a tattoo that makes the statement you want it too. 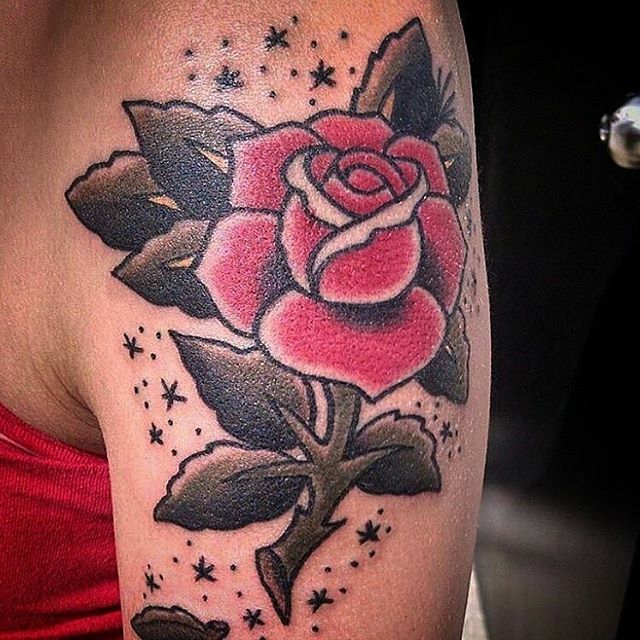 Choose a tattoo that screams a statement that you is proud of whom you are and you are proud of your artwork. 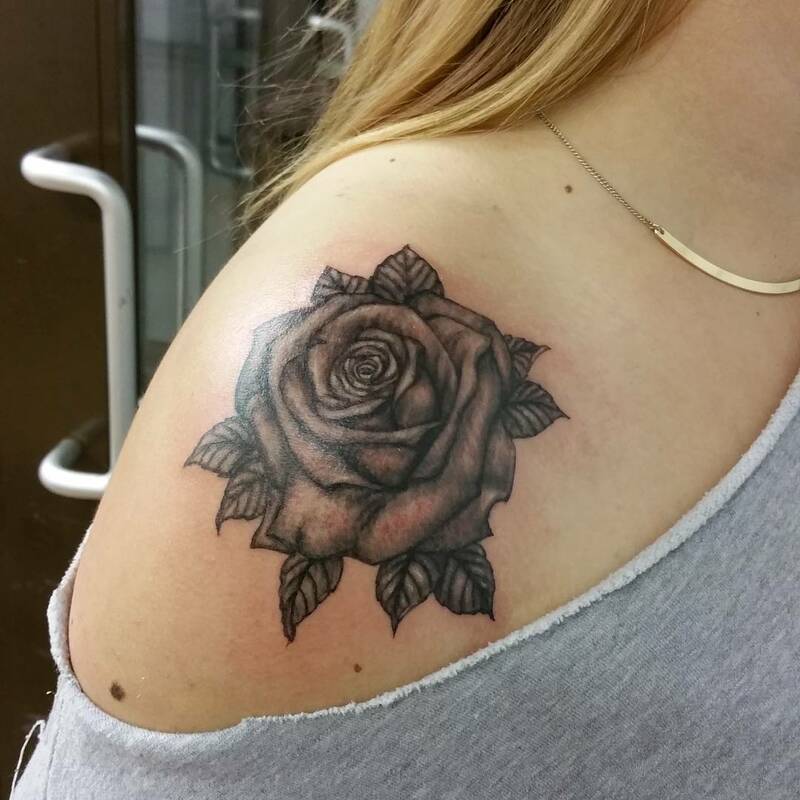 We get a tattoo to make us happy, remember that feeling every time your shoulder gets peeked at.